She’s back! 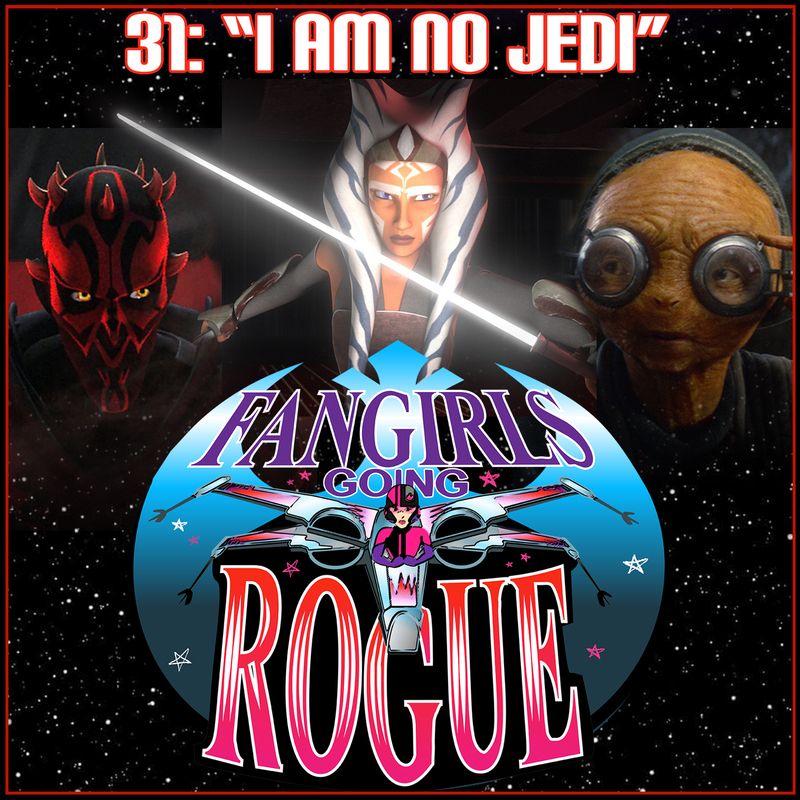 Geek Girl Diva (StarWars.com, Fashionably Geek, Force Cult) returns to Fangirls Going Rogue for a rousing discussion about Star War Rebels and The Force Awakens Blu-ray release. Tricia Barr’s review of the Blu-ray kicks off a roundtable on the bonus features. Teresa Delgado describes watching the movie with everyone’s new favorite droid, BB-8. Everyone had their favorite moment to share. We want to know, what’s yours? Tell us on Twitter. Sarah Woloski and Geek Girl Diva attended the screening of the Star Wars Rebels Season 2 finale at Walt Disney Studios. They provide insight about seeing the episode on the big screen. Dave Filoni and Simon Kinberg offered fans insight on using Darth Vader and Ahsoka Tano this season, and we remind you what they told Fangirls Going Rogue at Star Wars Celebration Anaheim. We also tackle Ahsoka’s fate, Kevin Kiner’s music, Maul, and more. Be sure to check out Skywalking Through Neverland’s special episode on the press event and Disney Vault Talk’s Rebel Yell “Twilight of the Apprentice” roundtable. Don’t forget: Tricia and Sarah will be at the Star Wars runDisney event at Walt Disney World. For more information on the Skywalking Through Neverland / Fangirls Going Rogue meet-up on Sunday at 2:00 p.m. at Disney Springs, check out the event page. Maz Kanata is a wise woman; therefore she must be a character featured in our monthly character discussion. Pirate, ally of the Jedi, Force-sensitive – the depths of this character are boundless! Winner of our Captain Phasma puzzle giveaway is Tamara Regan. Congrats!